The PMI-ACP Exam Prep Second Edition guide is specifically written for people who plan to sit for the PMI-ACP exam after March, 2018. This PMI-ACP Exam Prep guide is also very useful for those who want to learn or know more about using Agile techniques in their projects. The PMI-ACP Exam Prep Second Edition is specifically written for people who plan to sit for the PMI-ACP examination after March, 2018. 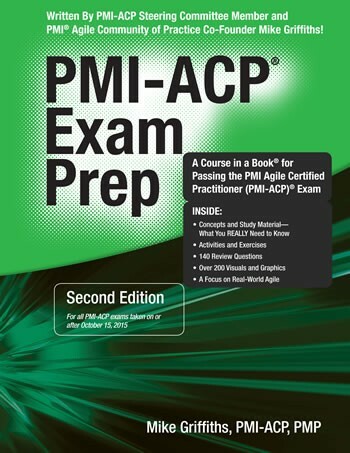 However this PMI-ACP Exam Prep guide is also very useful for those who want to learn or know more about using Agile techniques in their projects. This book really helped me to understand and apply Agile techniques in a classic project environment. A very useful and recommended resource. Practice exam questions—over 100 throughout the book. Mike Griffiths is a world-renowned project manager, trainer, consultant and writer, holding multiple project management and Agile-related certifications, including the new PMI-ACP® designation. 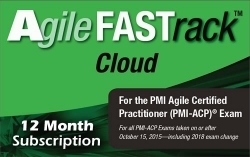 Mike was on the original PMI-ACP® Steering Committee, which defined the agile-related knowledge, skills, tools and techniques to be tested by the PMI-ACP® exam. Back in 1994, Mike helped create the agile method DSDM (Dynamic Systems Development Method) and has been using agile methods including FDD, Scrum and XP for the last 17 years. Mike served on the Board of Directors for the Agile Alliance and the Agile Project Leadership Network (APLN), and also founded the Calgary Chapter of APLN in 2006. Mike is also very active in traditional project management, holding both the PMP and PRINCE2 certifications.